According to GPG Tools official website GPG Tools is used “to encrypt, decrypt, sign and verify files or messages. Manage your GPG Keychain with a few simple clicks and experience the full power of GPG”. 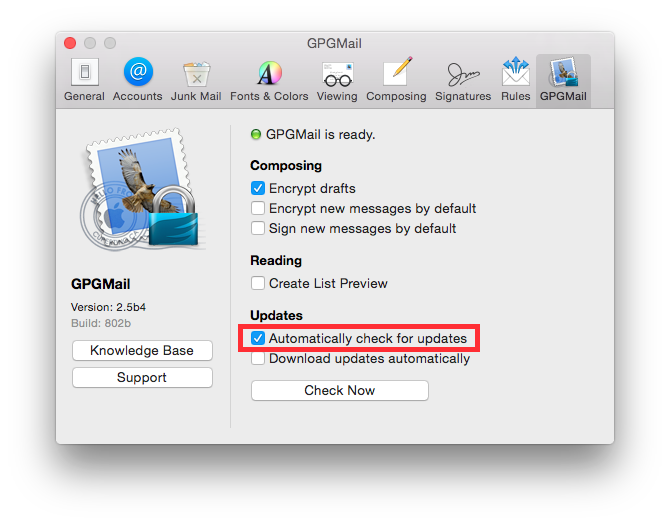 GPG Suite is an implementation of GPG for Mac OS X with a keychain and an Apple Mail extension. Check “Automatically check for updates” option. The installation package is provided with an hash signature and a GPG signature. It is recommended to check digital signature before the installation.